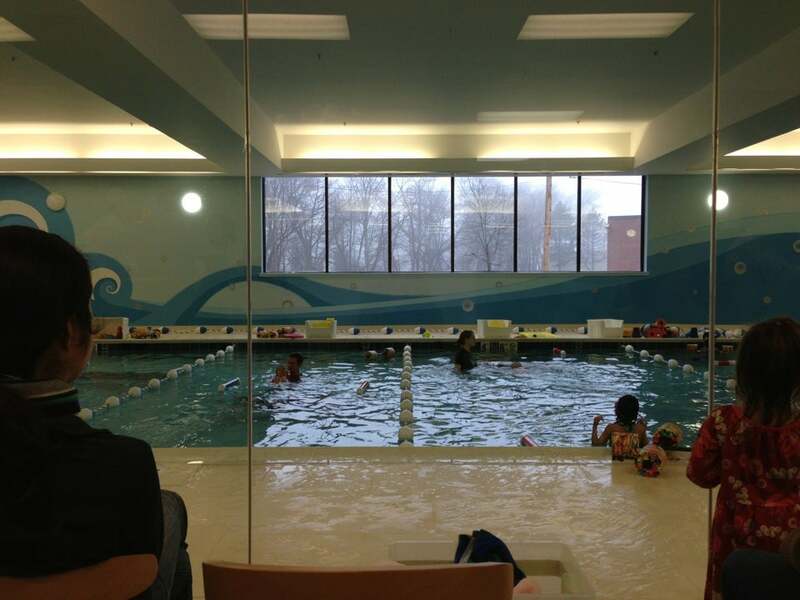 Indoor swim center open year round and offering classes to infants, toddlers, and older kids as well as open swim time for the whole family. 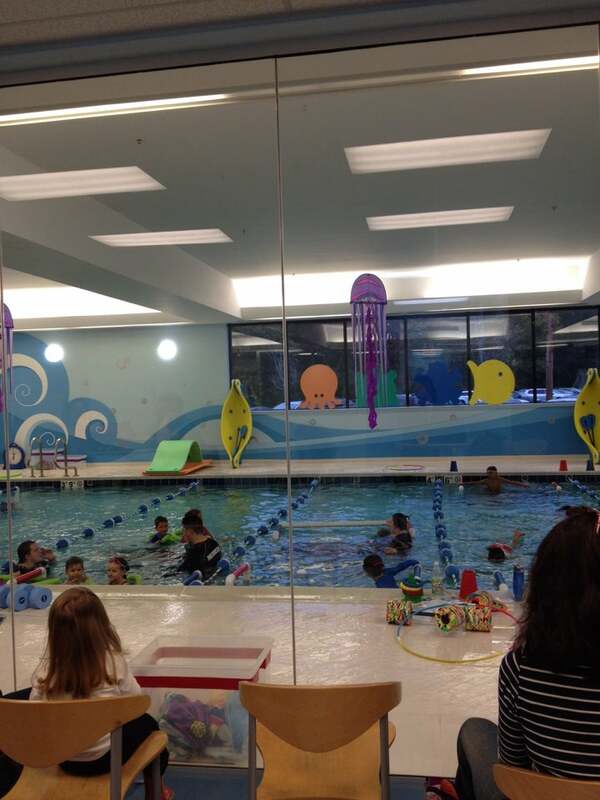 Comfortable viewing area for parents during classes with both chairs and tables. 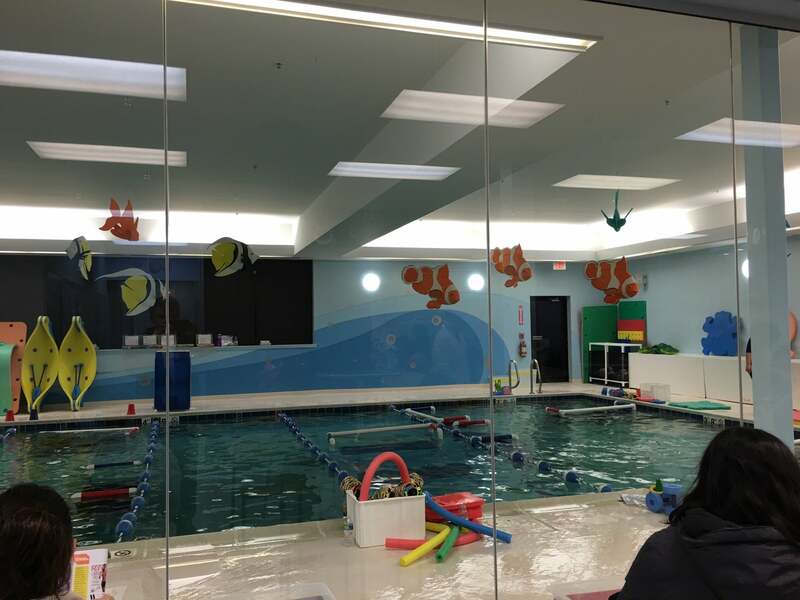 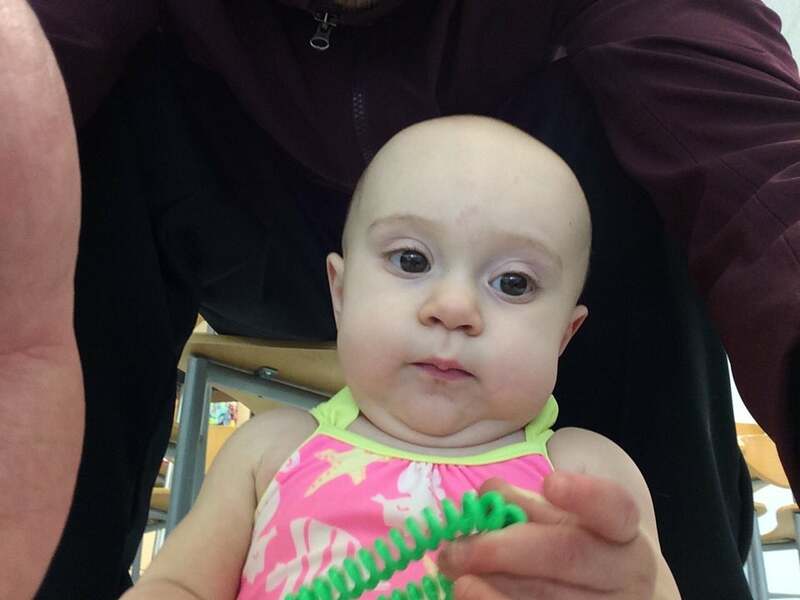 Awesome swim lessons - even for infants! 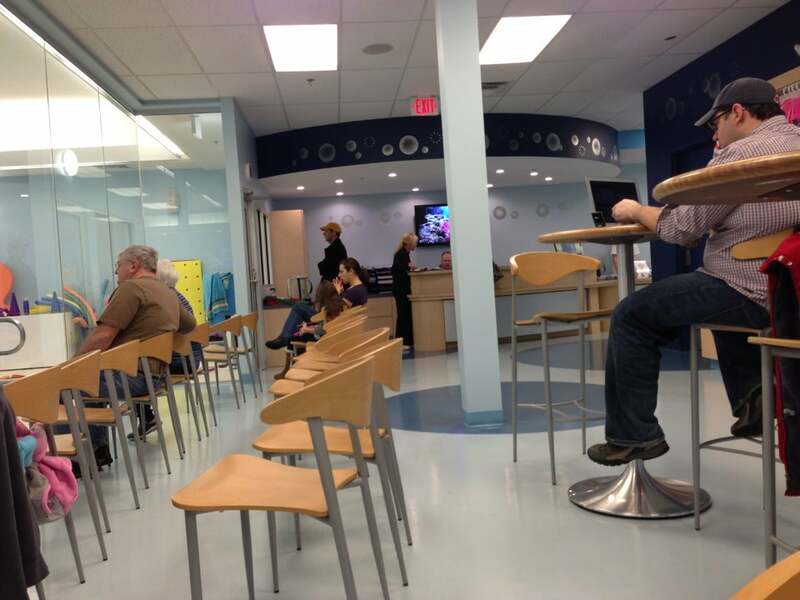 You could nurse in the waiting area or in the family changing area if you prefer privacy.